Marble is a calcium-based, metamorphic stone frequently cut into tiles and countertops. Three basic finishes can be given to marble tiles: polished, honed or tumbled. Polished tiles have a glossy appearance, while honed and tumbled have a matte finish. All marble tiles, regardless of finish, must be sealed. You have the option of using sealers that will not affect the finish, and sealers that will enhance the finish of your marble. Polished marble is actually ground down to a glossy surface. If you have a polished marble with a glossy surface and are satisfied with its appearance, the only sealer you require is an impregnating sealer. Impregnating sealers go deep into the surface of the marble, filling invisible holes and pores to protect the stone from staining. An impregnating sealer will keep your polished marble looking glossy, but will not change its color or add additional shine to the stone. Use it on new marble tiles and on tiles whose color you currently enjoy. If you have polished marble that has been slightly etched, or polished marble that doesn't have as deep a color as you would like, you can use a gloss-enhancing marble sealer. The gloss-enhancing sealer will boost the amount of gloss on the tile, helping to hide and minimize etch marks. It may also deepen and brighten the color of the polished marble tiles, helping to bring out more subtle veining patterns in the stone. Gloss-enhancing sealers will not make a honed or tumbled marble look polished; it will merely add a sheen to them. If you have honed or tumbled marble that you wish to preserve the texture of, an impregnating sealer is all that is necessary. 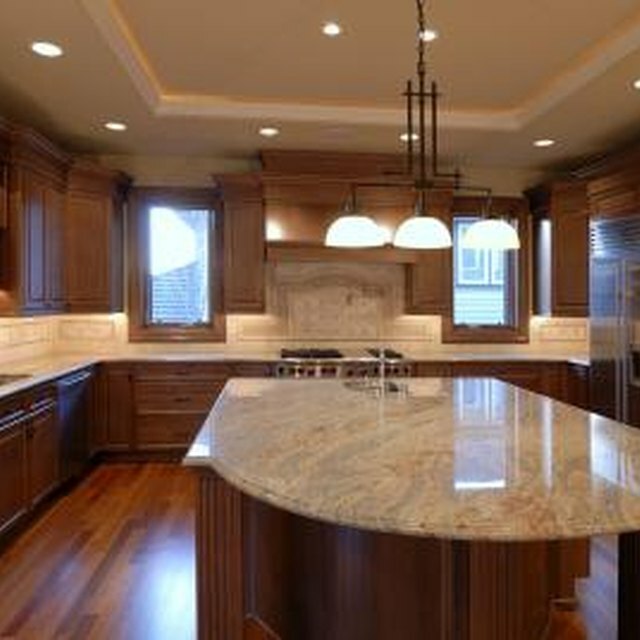 Honed marble is normally duller in color than polished, with a flat surface; impregnating sealers will not change this. Tumbled marble may have a chalky appearance and be very light in color; impregnating sealers will preserve this appearance. If you wish your marble to remain understated or more rustic in appearance, an impregnating sealer is all that is required. Color enhancing sealers are matte, topical sealers that boost and deepen the color of honed and tumbled marbles without giving them a sheen or gloss. They will give the marble the same color it has when unsealed and wet, without the wet look of sheen. Matte color enhancers will rid honed and tumbled marbles of the chalky, or dusty look them may sometimes have and can deepen and darken colors dramatically. When a matte sealer is applied to a polished stone, it will not affect the stone's gloss, but may help enhance the color.